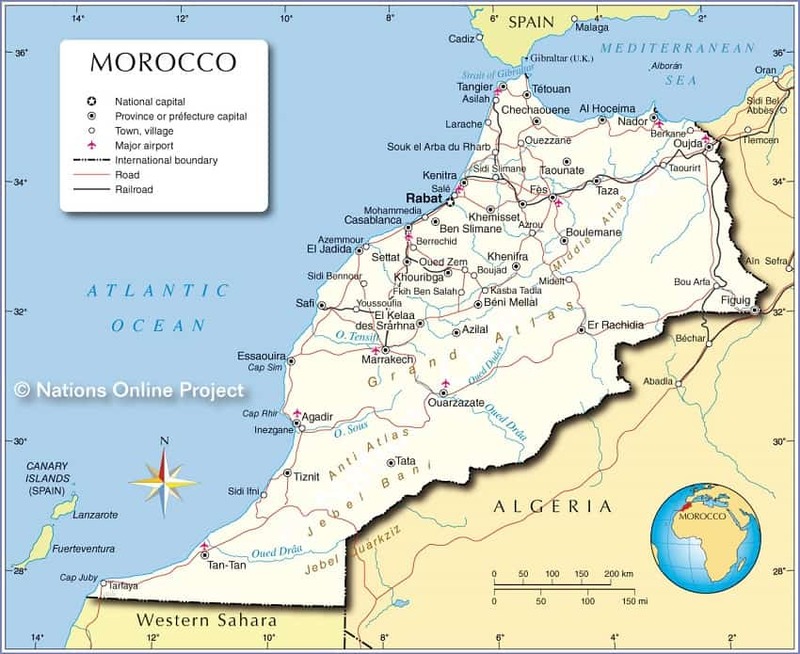 Morocco is an Arab country located on the northwest corner of the African continent. 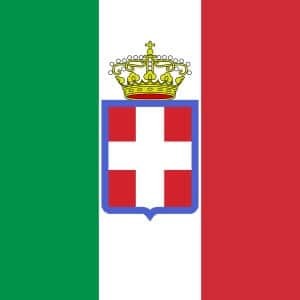 It is located in the Maghreb region of North Africa, along with Tunisia, Libya, Algeria, and Mauritania. The world’s largest subtropical desert, the Sahara, blankets the Maghreb region and expands east to the Red Sea. Morocco is very close to Europe and has benefitted through trade with its northern neighbors. While Rabat has the distinction of being the capital of Morocco, Casablanca remains the country’s largest city, as well as the largest city in the Maghreb region of Africa. Morocco facts tells us Casablanca flew into the world’s imagination in 1942 when Humphrey Bogart and Ingrid Bergman hit the silver screen in a famous movie featuring the port city. Located on the Atlantic Ocean, Casablanca serves as the port of Royal Moroccan Navy. It is also the largest port in North Africa. Casablanca is an important industrial city and a great place to visit, thanks to its unique architecture and excellent shopping. 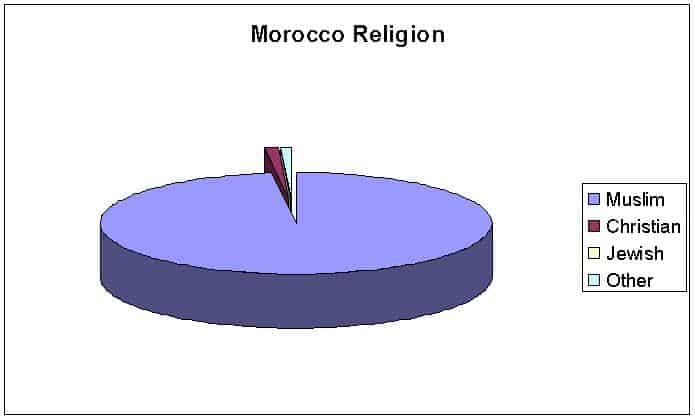 It is estimated that almost 99% of Morocco’s citizenry is Muslim. About two-thirds are Sunni Muslims. Sunni Islam is the largest denomination of Islam. Morocco facts indicate less than 1% of the Moroccan population is Jewish or Christian. Morocco has two official languages: Arabic and Berber. Berber is a dialect in North Africa that has Afro-asiatic roots. 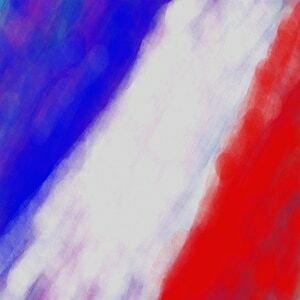 French is also spoken by one-third of the population, and is a mandatory language in schools. Morocco is believed to have been inhabited since the Paleolithic era in prehistoric times, sometime between the years 190,000 BC and 90,000 BC. Morocco facts show the land has been home to Romans, Visigoths, Vandals and Byzantines. More recently, Morocco was a protectorate of France and Spain, and gained independence in 1956. Because of the many people who have lived and traveled through Morocco over the millennia, Moroccan cuisine is very diverse. It features dishes from Europe, the Mediterranean, and its Berber roots. One of the most popular Moroccan dishes is couscous. Another famous Moroccan dish is named after the earthenware pot in which it is cooked, the tagine. Chicken is the most commonly eaten meat in Morocco and may be served as tagine of chicken, where the poultry is cooked with a variety of vegetables in the famous pot. Beef tagine is also a popular meal. 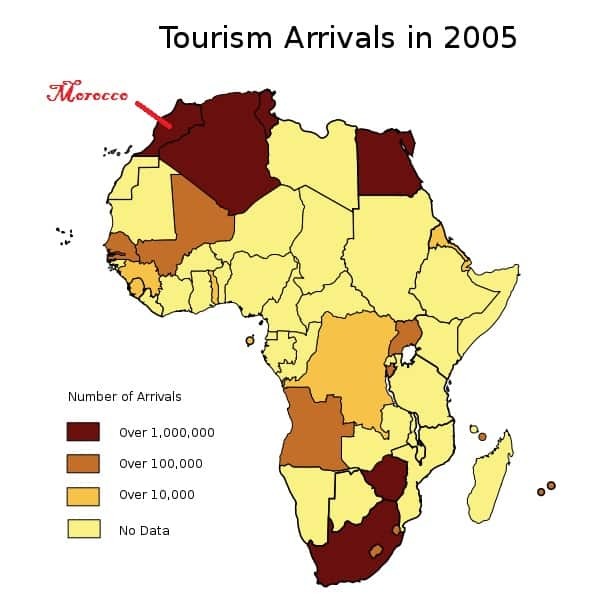 Tourism is the second largest money making industry in Morocco, after the sale of phosphate. 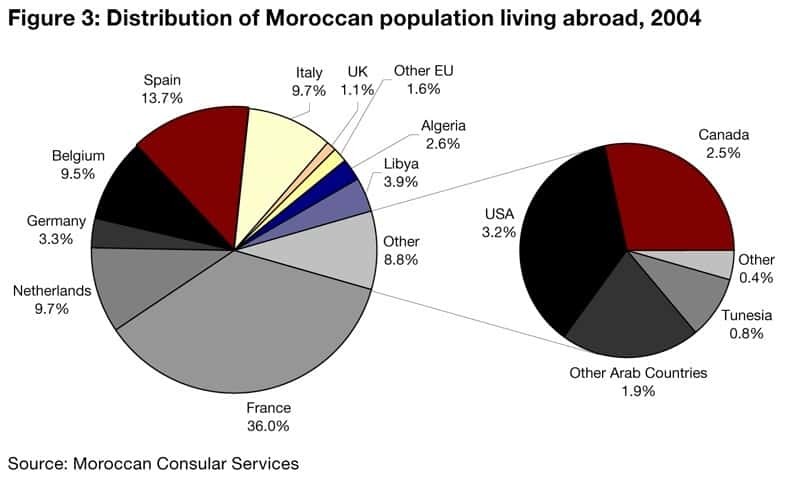 Morocco facts tell us the country is attempting to make tourism an even larger part of its economy. The goal is for 20% of the economy to be supported by tourism. Morocco would like to have 20 million tourists annually visiting by the year 2020. Morocco is one of only three countries in the world that is bordered by both the Atlantic Ocean and the Mediterranean Sea. Spain and France are the other two countries featuring beautiful beaches from both bodies of water. With temperatures as high as 95 degrees Fahrenheit (35 degrees Celsius) and lows of around 41 degrees Fahrenheit (5 degrees Celsius), Morocco features a beautiful Mediterranean climate. It is recommended travelers wear lightweight cottons and linens during summer months. The gorgeous weather makes Morocco a great place to visit any time of the year. The United States Department of State maintains a list of travel advisories and warnings on its website indicating places that may be unsafe to visit. Yemen, Liberia, Gaza, and Sudan are all considered unsafe destinations at this time. Also included are other countries that are experiencing unsafe conditions, such as war or disease. At this time, Morocco is considered a safe place to visit and does not have any travel advisories or travel warnings in effect. Even though the movie Casablanca was titled after Morocco’s largest city and the action supposedly took place there, the movie was not filmed in the iconic city. Casablanca was filmed in Los Angeles and was primarily shot in a studio. 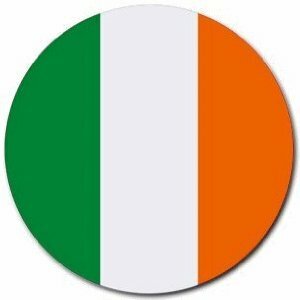 Morocco facts indicate the 2015 Africa Cup of Nations, a soccer tournament held on the African continent, was originally supposed to be held in Morocco. The Moroccan government wanted to postpone the January tournament due to the outbreak of Ebola in West Africa. Instead of postponing the tournament, officials decided to hold it elsewhere. Equatorial Guinea was chosen as the new site of the 2015 Africa Cup of Nations. In 1777, Morocco became the first country to recognize the United States of America as an independent nation. Morocco’s Sultan Mohammed III protected American ships and allowed them safe passage in the Atlantic Ocean. In 1786, the United States and Morocco signed a treaty, the Moroccan-American Treaty of Friendship, which remains the United States’ longest standing friendship treaty. Morocco is a member of the United Nations and was once a member of the African Union. However, Morocco facts tell us the country withdrew its membership from the African Union in 1984 after the AU allowed a disputed territory in Western Sahara membership. Morocco is the only African state that is not a member of the African Union. Although a ceasefire has been in effect since 1991, the land south of Morocco is still in dispute. The fight is over whether Western Sahara should be an independent state or part of Morocco. Morocco began international proposals for autonomy for Western Sahara in 2006, but the area is still in dispute. Moroccans enjoy a special green tea drink called atai. Atai is a mix of green tea, mint and sugar. 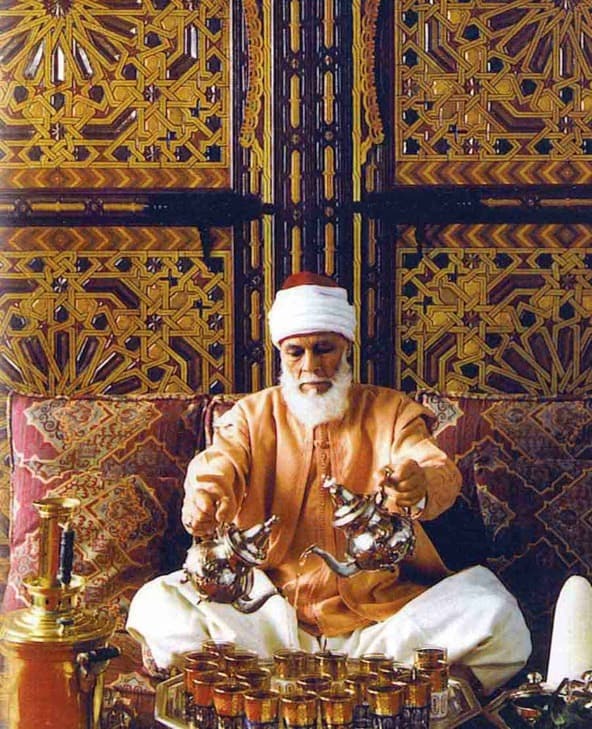 Brewing and serving tea is considered an art form in Morocco and holds cultural significance. Guests are often offered tea and it is viewed as rude to not drink the popular beverage. Because most of the country is Muslim, pork is forbidden by Sharia law in Morocco. Instead, chicken and beef are the preferred meats. Lamb is also eaten in Morocco, but is sometimes hard to obtain because it’s so expensive. In addition to tea, Morocco facts tell us meat also plays an important part in the guest-host relationship. It is considered rude to refuse meat, so if you’re offered meat in Morocco, say yes! Thanks to the red walls and buildings constructed with sandstone in the 12th century, Marrakech is known as the Red City. Marrakech is the fourth largest city in Morocco and is home to many cultural attractions and shops popular with tourists. Fes is the third largest city in Morocco with a population of about one million. It features what may be the largest urban no-car zone in the world. Fes was once the capital of Morocco and is one of its original imperial cities. Fes is also believed to be the most complete medieval city in the Arab word. Morocco is located in the Maghreb region of North Africa and has coastlines on the Atlantic Ocean and the Mediterranean Sea. It is a beautiful tourist destination with subtropical temperatures, gorgeous beaches and historical cities. Morocco is known for its cuisine staples, such as couscous and the tagine. It is currently safe to travel to Morocco and explore Casablanca and Marrakech.